The worst day of our lives happened on April 29, 2014. The night we received a knock on the door at 3:30 am, telling us to go to the hospital. There had been an accident and our son, Ryan, was being resuscitated. Every parent’s worst nightmare was happening to us. Ryan had overdosed on heroin and never regained consciousness. He was 30 years old and left behind a five year old daughter. Shortly after returning home, the LifeCenter representative contacted us regarding tissue donation. I have always been passionate about the topic of organ and tissue donation. Although both my husband and I have signed up to be donors, we had never discussed this with Ryan. We didn’t know what his wishes were. After talking things over with family, we decided that it only made sense for Ryan to be a tissue donor. He died much too young and we wanted to do something that would help his memory live on. The next day we were able to retrieve his belongings and in his wallet was his driver’s license with a red heart at the bottom that said “organ donor.” It felt as if Ryan was further confirming our decision. Through this entire process, the LifeCenter staff were very caring and informative about answering the questions we had. 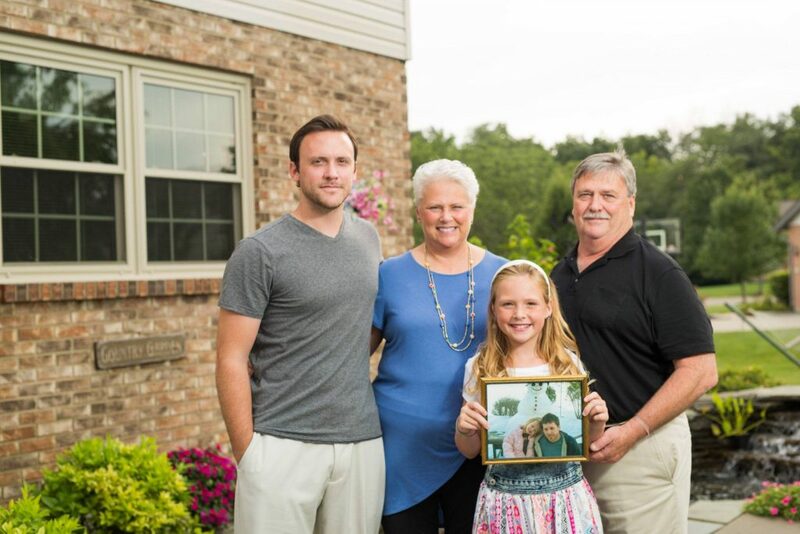 They were able to make a tragic situation more bearable through Ryan’s ability to help 30 people with his gifts of cartilage, bone, ligament, and cornea donation. Since this time, both my husband and I have received someone’s gifts of tissue. My husband received it when he required a back fusion and I required a fusion of bones in my foot.